Buffalo State has been selected as an inaugural member of the Higher Education Anchor Mission Initiative. It joins 30 other U.S. college and universities for inclusion in the national collaboration designed to develop and share new strategies for deploying higher education’s intellectual and place-based resources to enhance the economic and social well-being of the communities they serve. Higher education institutions like Buffalo State are anchor institutions: local economic engines and mission-driven organizations inextricably linked to the long-term well-being of their local communities. They’re uniquely positioned to play an active role in supporting the local economy. 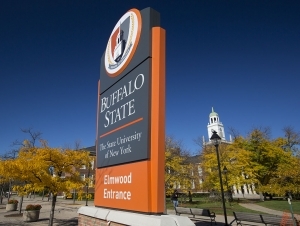 By intentionally implementing an anchor framework, Buffalo State will enhance its service to its public mission. The Higher Education Anchor Mission Initiative will provide a national platform to accelerate this important work. The initiative is a joint project of the Coalition of Urban and Metropolitan Universities (CUMU), a national organization dedicated to connecting urban universities and their partners, and The Democracy Collaborative (TDC), a national research institute developing strategies for a more democratic economy. It is supported by the Annie E. Casey Foundation. The initiative builds upon the work completed for TDC's “Anchor Dashboard Learning Cohort,” of which Buffalo State was a member. Beginning in 2013, six urban schools—Buffalo State, Cleveland State University, Drexel University, Rutgers University-Newark, University of Missouri-St. Louis, and Virginia Commonwealth University—collaborated in a multi-year process to pilot effective metrics for tracking anchor mission impact. The initiative will be informed by the best practices identified by this cohort, whose six members will become members of the initiative. 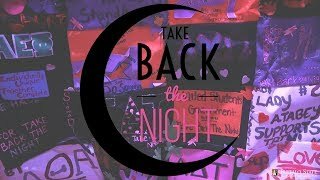 The 31 participating member institutions are Augsburg University, California State University Los Angeles, Cleveland State University, College of Staten Island, Drexel University, Florida Atlantic University, Georgetown University, Indiana University Northwest, Indiana University-Purdue University Indianapolis, Johns Hopkins University, Marquette University, Metropolitan State University, Metropolitan State University of Denver, Portland State University, Purdue University Northwest, Rutgers University-Camden, Rutgers University-Newark, SUNY Buffalo State, Towson University, University of Arkansas at Little Rock, The University of Chicago, University of Denver, University of Louisville, University of Michigan-Dearborn, University of Missouri-St. Louis, University of Pittsburgh, University of San Diego, Virginia Commonwealth University, Wagner College, Weber State University, and York University. Recognizing this potential, CUMU has worked with TDC to select leading higher education institutions from its membership to join the initiative as inaugural members.